Technological innovations have dramatically altered the tools and techniques available to researchers to study microscopic organisms. Microbes, such as bacteria, are very important to ecosystem processes, and researchers at the Ecosystems Center have studied microbes since the Center was founded. 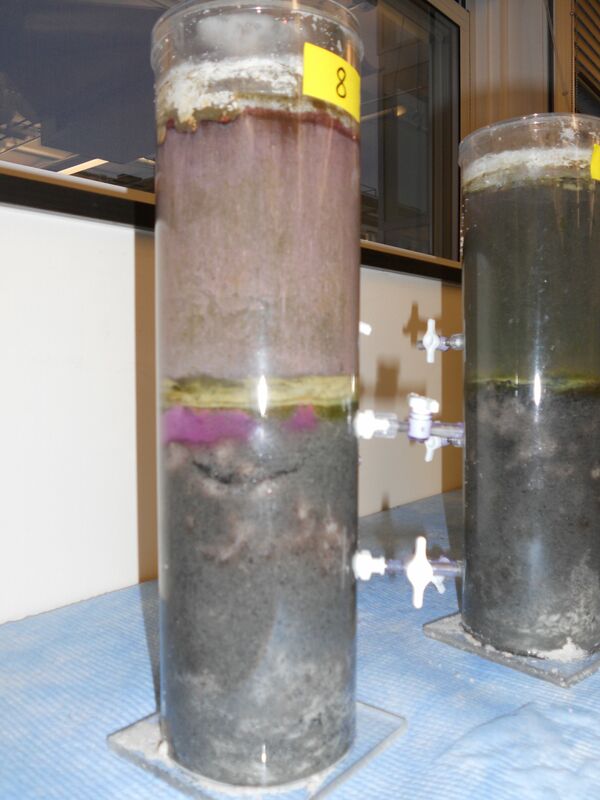 One of the earliest microbiology experiments at the Ecosystems Center was to test to what extent microbes contributed to decomposition of dead matter in an ecosystem. Funded by a series of National Science Foundation grants that started in 1979, researchers at the Ecosystems Center estimated microbes present in decaying marsh grass to help illuminate what organisms consumed the grass. The technique for counting microbes was developed by Ecosystems Center senior scientist John Hobbie and his colleagues in 1977. Researchers at the Ecosystems Center tend to focus on the overall processes of microorganisms rather than cataloguing individual organisms. Until recently, it was impossible to classify every microorganism in an ecosystem because many microbes would not survive outside of that environment. So researchers focused on the overall microbial metabolism, such as the inputs and outputs of a microbe-rich ecosystem, and the rates at which microbes metabolize nutrients. Starting in the mid-1990s, Ecosystems Center researchers began using molecular biology techniques to estimate the microbial diversity of ecosystems. In 1996 Ecosystems Center scientists began to use genetic sequencing to identify microbes present at the Toolik Lake, Alaska, experimental site. Scientists use genetic sequencing to determine the DNA code of organisms. Once the code for an organism is determined, scientists compare it to other codes uploaded to an online database. Researchers use these data to identify the bacterial species in an ecosystem. Recently, researchers from all disciplines at the Ecosystems Center have teamed up with a younger generation of microbiologists to study microbial ecology. Researchers can sequence the DNA of microbes in an ecosystem to estimate the diversity of microorganisms, and use RNA-based techniques to identify specific genes activated in a certain environment. These techniques have brought new insights to existing experiments at the Ecosystems Centers’ three Long Term Ecological Research (LTER) sites. For example, researchers at the Harvard Forest LTER have studied how soil-warming experiments have caused a change in the soil bacteria community. At the Plum Island Ecosystem LTER, Joseph Vallino has used mathematical models to describe the behavior of microorganisms to more accurately predict the effect of disturbances on an ecosystem. 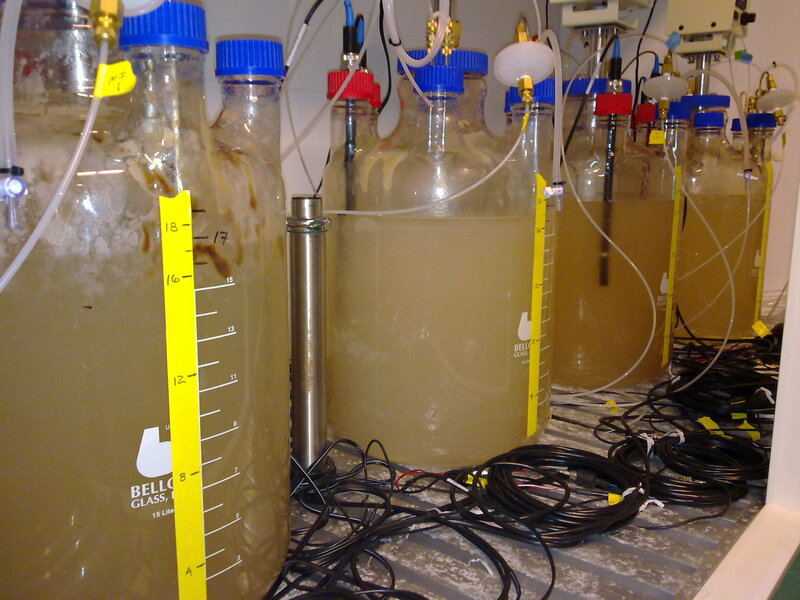 Researchers can then test these models through experiments in microcosm (a small ecosystem within a boundary such as a net or a jar) in the lab or in the field.